Guest: Dr. Buzz Aldrin. Topics: Buzz talks about his Unified Space Vision, Mars settlement and his new book, "Mission to Mars: My Vision for Space Exploration." Please direct all comments and questions regarding Space Show programs/guest(s) to the Space Show blog, http://thespaceshow.wordpress.com. Comments and questions should be relevant to the specific Space Show program. Written Transcripts of Space Show programs are a violation of our copyright and are not permitted without prior written consent, even if for your own use. We do not permit the commercial use of Space Show programs or any part thereof, nor do we permit editing, YouTube clips, or clips placed on other private channels & websites. Space Show programs can be quoted, but the quote must be cited or referenced using the proper citation format. Contact The Space Show for further information. We welcomed back Buzz Aldrin to discuss his Unified Space Vision (USV) including Martian settlement, plus his new book, "Mission To Mars: My Vision for Space Exploration." Leonard David was the co-author of the book. Visit www.buzzaldrin.com for more about the book and new, upcoming projects related to the book and the Aldrin vision. The book is available as hardback and as an e-book. If you use either of these links with Amazon to buy the book, Amazon will make a donation to The Space Show/OGLF: (hardback) www.amazon.com/Mission-Mars-Vision-Space-Exploration/dp/1426210175/ref=o... and (Kindle) www.amazon.com/Mission-Mars-Vision-Exploration-ebook/dp/B008EDPMB2/ref=o.... During our 94 minute program in one long segment, Buzz started out by describing his Unified Space Vision (USV) and its five main components, exploration, science, development, commercial, & security. Buzz also introduced us to the United Strategic Space Enterprise (USSE) which forms a integral part of his Mars vision. We discussed the role of China, India, Russia, the ISS, and why we should not engage in a Moon race with China. In fact, part of the USV includes an international lunar post but not publicly funded by American taxpayers. John in Hawaii asked about PISCES validating INSITU technologies, then Buzz was asked to explain his Mars cycler concept and orbits. Following this discussion, Dr. Rowe called in to raise specific human factors health concerns regarding dust issues, Moonwalker astronauts EKG results, and down the road genetic modification for long duration spaceflight and settlement. I then asked Buzz about the role of space tourism in his vision as well as the need for SLS. Dr. Paul Deer called in from Cambridge in the UK to ask Buzz about risk taking. Listeners emailed Buzz about the proposed NASA asteroid retrieval mission which Buzz said was a distraction. Don't miss his comments on this issue. Another listener wanted to know why Phobos rather than Mars. We talked about the ILDC and the concept of the international lunar base as a stepping stone for going on to Mars. We also talked about more uses for the ISS, including inflatables, to support the USV. Near the end of the show, John called Buzz to inquire about the space exploration contribution to student7 youth inspiration, STEM, and science development. Buzz confirmed all of these as beneficiaries of space exploration and development. I urge you to read this book and check back at the Buzz Aldrin website for updates and book/USV related projects. 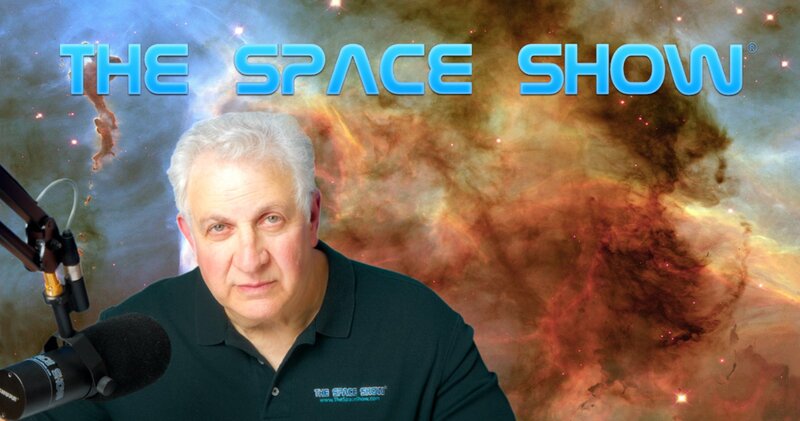 If you have comments/questions from this show, please post them on The Space Show blog above.